Just some of the coaching staff in past years. Acquired: Rochester Knighthawks first-round selection (first overall) in the 2009 NLL Entry Draft. College/Field Lacrosse: Played for the Toronto National of Major League Lacrosse in 2009 and won an MLL title… Played two seasons at Syracuse University and won back-to-back NCAA titles… Named an All-American both seasons… In 2009 was named to the Second Team and in 2008 was named an Honorable Mention All-American… Started all 36 games in his SU career… Named to the 2008 NCAA Championship All-Tournament Team… That season, he was also part of an Orange defense that posted a 7.62 team goals-against average, the lowest mark for an SU squad since 1970… In 2006, he played for Onondaga Community College… Led the Lazers to the 2006 NJCAA national championship and an 18-0 overall record… Lazers also captured the 2006 Region III and Mid-State Conference titles… 2006 NJCAA All-America First Team… Competed for the Iroquois Nationals at the 2006 International Lacrosse Federation (ILF) World Lacrosse Championship… Played for the Toronto Nationals and won the 2009 Major League Lacrosse Championship. Canadian Box Lacrosse: Plays for the Six Nations Chiefs in the Ontario Lacrosse Association Major Series… Captained the Six Nations Arrows to the 2007 Minto Cup title… Recipient of the 2007 John “Gus” McCauley Memorial Trophy as the Ontario Junior “A” League’s Defender of the Year… Named a First Team All-Star and the recipient of the B.W. “Bill” Evans Trophy as the top graduating player in the OLA Junior series… Guided the Arrows to a 17-0-1 record and the 2007 Ontario Junior ‘A’ League championship… Winner of the Dean McLeod Award as the Ontario Junior “A” Playoff MVP… Won a silver medal with the Iroquois Nationals at the 2007 World Indoor Lacrosse Championships… Winner of the 2006 Jim Bishop Memorial Award as the tournament’s Most Sportsmanlike Player… Played for four straight Ontario championship teams with Six Nations (2004-2007)…. In 2006, he was named the winner of the Tom Longboat Award as the Canadian Aboriginal Male Athlete of the Year. Personal: Majoring in social work at Syracuse… Just 19 days prior to his NLL debut, he was a member of the Six Nations Olympic Team that participated in the 2010 Vancouver Olympic Torch Relay. Syracuse lacrosse attackman Cody Jamieson, about to score a between-the-legs goal earlier this season at Johns Hopkins, is the Big East's offensive player of the week. Syracuse lacrosse senior attackman Cody Jamieson has been named the Big East Conference offensive player of the week and junior goaltender John Galloway made the conference's weekly honor roll for their performances in Saturday night's 13-4 victory over Princeton. Jamieson scored a career-high five points in the victory and tied his personal best with four goals. He scored three consecutive goals early in the third quarter to help break open the game. For his performance he was voted the player of the game by the media in attendance. It is Jamieson’s first Big East weekly honor and the seventh overall and third offensive accolade for Syracuse this season. Galloway registered 11 saves and only surrendered one goal in 49:40 of action to fuel a defensive effort that held the potent Princeton attack scoreless for a season-best stretch of 31:30 during the course of the game. 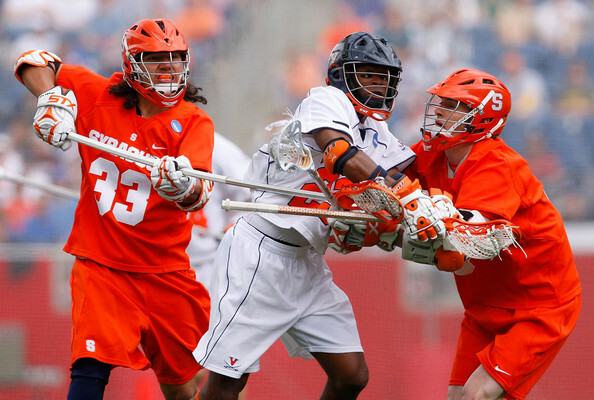 Syracuse scored nine goals in that stretch to take control of the contest. Galloway topped the 400-save mark for his career with the performance. 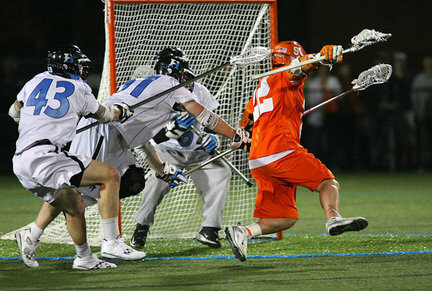 Named to the 2010 Inside Lacrosse Preseason All-America Second Team. Junior Year (2009): Named to the NCAA Championship All-Tournament team after scoring 11 points (8g, 3a) in the postseason … Played in six games with one start … Started the first game of his career and set personal bests in points (4) and goals (3) against Siena in the first round of the NCAA Tournament … Had three points (1g, 2a) in consecutive games against Duke in the national semifinals and Cornell in the NCAA title game … Scored the game-winning goal 1:20 into overtime to lift the Orange to a 10-9 win versus the Big Red in the national championship game … Scored his first Syracuse goal against Colgate in the regular-season finale … Also had a goal versus Maryland in the NCAA quarterfinals. International Experience - 2009: Participated in tryouts for the Iroquois National Team that will compete in the 2010 FIL World Championship … First player to be named the Major Series Lacrosse (MSL) MVP, Rookie of the Year and win the league’s scoring title in the same season … Scored 48 goals and passed out 48 assists in 17 games … 2008: Member of the Six Nations Arrows … Inaugural winner of the NLL Insider Junior Player of the Year Award … Led the Ontario Junior ‘A’ League with 101 points and 59 goals in 21 games … 2007: Voted the MVP of the Minto Cup after leading the Six Nations Arrows Express to the title … Winner of the Tom Longboat Award as the Canadian Aboriginal Athlete of the Year … 2006: Competed for the Iroquois Nationals at the International Lacrosse Federation (ILF) World Championship and helped the team to a fourth-place finish. Junior College (2006 & 2007): Attackman for Onondaga Community College (OCC) … Led the Lazers to back-to-back junior college national championships and a combined record of 33-0 in his two seasons (18-0 in 2006 and 15-0 in 2007) … In 2006, he ranked second nationally with 121 points (57g, 64a) … 2006 NJCAA All-America Second Team selection and an All-Mid-State Conference First Team choice … Named the 2006 Region III Tournament MVP and was voted the MVP of the national title game after scoring five goals and passing out six assists in a 30-6 win against Suffolk Community College … In 2007, Jamieson led the nation in points (116), goals (65) and assists (51) … Catalyst for an offense that scored at least 20 goals 13 times and surpassed 30 goals in a game four times … Recipient of the David Rowlands Award as the NJCAA Male Student-Athlete of the Year … Voted the 2007 Mid-State Athletic Conference Player of the Year, the Region III Player of the Year, an NJCAA first-team All-American and the NJCAA Offensive Player of the Year … Scored nine goals in the national title game against Nassau Community College on his way to winning game MVP honors for the second year in a row. High School: Attended Hagersville Secondary in Ontario … Lacrosse team captain and helped the squad to the Southern Ontario Secondary School Championship. Personal: Cody Ryan Jamieson … Born in July 1987 in Six Nations, Ontario … Son of Cole and Michelle Jamieson … One brother, one sister … Majoring in communication and rhetorical studies. 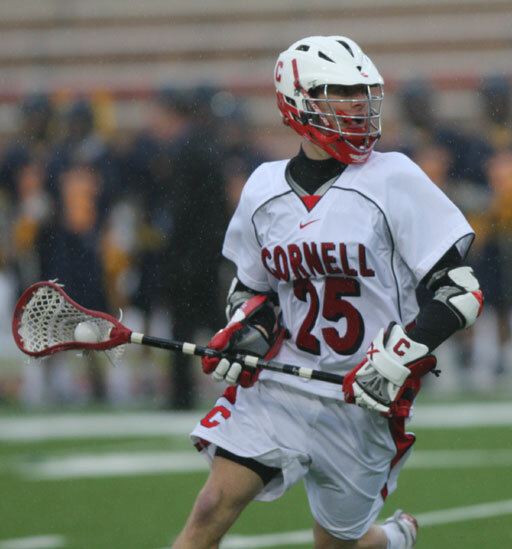 At Cornell: Gilbane saw action in two games during his rookie season, playing against Canisius and Penn. He took one shot on the season vs. the Golden Griffs. At Deerfield: Gilbane lettered once at Deerfield Academy, helping the team to a 15-1 record during the 2008 season. He was awarded the Rhodes Cup, given to the first-year player who had the greatest impact on the team. Gilbane also lettered once in soccer. At Providence Country Day: A two-time high school All-American at Providence Country Day School, Gilbane led the state of Rhode Island in scoring for two straight seasons and finished his career at PCD with 334 points. He was a four-time All-State selection, earning first-team honors twice. Gilbane was a four-year starter and was named team captain during his senior season. He was also named his team’s MVP and won the Rhode Island Lacrosse Outstanding Achievement Award. Gilbane was a four-year starter on the soccer team and lettered once in basketball as well. As a senior captain on the soccer team, he was named a New England All-Star and was a two-time first-team All-SENE selection. Personal: Jeffrey John Gilbane is the son of John and Julie Gilbane and he has a younger brother. His cousins, Alex Cole (Gettysburg), Zach Cole (Rollins) and Jamie MacDonald (Denver), all play collegiate lacrosse, while his great-uncle Leon Schwerzmann graduated from Cornell University in 1938. Gilbane is enrolled in the College of Architecture, Art, and Planning. At Salisbury School: Four-year letter winner in lacrosse • Also played four years of football, two years of track and one year of squash • Helped lacrosse team to a four-year record of 44-14 with three conference championships • Two-time First Team All-SENE • First Team All-State selection as a sophomore • Totaled 73 goals and 69 assists during his career • Played wide receiver and safety in football and helped team to a conference championship in 2004. Personal: Trevor W. Brown • The son of Otis and Wendy Brown • Born July 11, 1989 • Has not declared a major. Accomplishments stretch what seem to be miles long. Beginning play when he was just three years old, Cam worked his way through the Six Nation’s minor league box lacrosse program. He began playing for St. Catherine’s Junior A team when he was 15, but finished off his Junior career back with the Six Nations Arrows, where his team won the Minto Cup in 1992. Cam also played NCAA lacrosse with Nazareth College from 1990 to 1994 in Rochester, New York, where he also helped his team claim an NCAA championship title in 1992. On top of his minor league and college achievements, Cam was able to play professionally for eight seasons in the NLL with the Buffalo Bandits, the Rochester Knighthawks, and the New Jersey Storm. On the OLA circuit, he has participated in three Mann Cup titles with Six Nations Chiefs. His experience also stretches onto a number of naional teams. He was able to play for the U-19 Canadian National team in 1988, and was a four-time member of Iroquois’ National team. He finished his playing career summer of 2006 at the World’s tournament in London with Iroquois. With such talent with a stick and a ball, Cam started sharing his knowledge of the game as a coach first at the Junior A level. 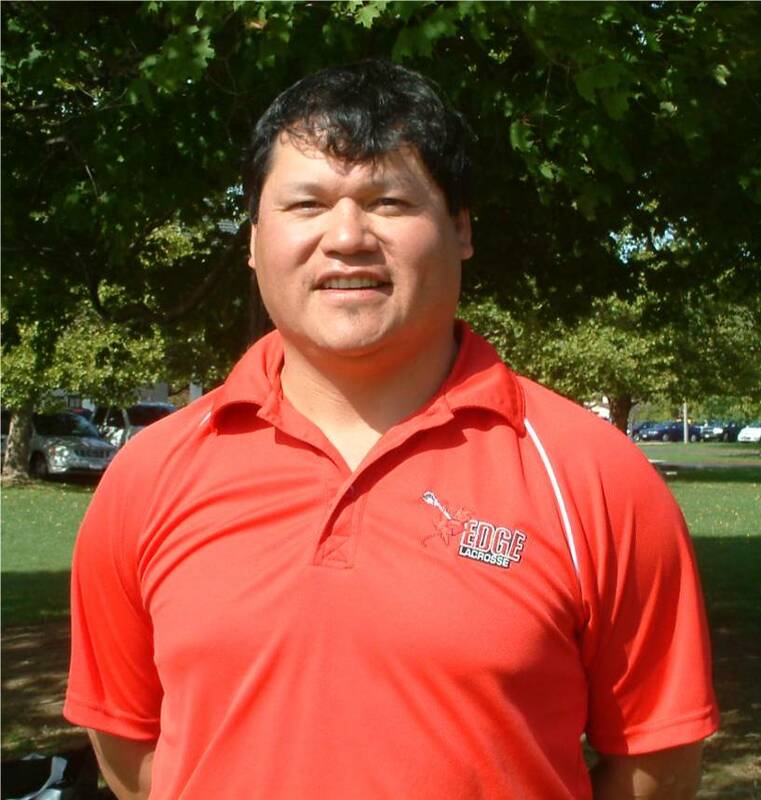 He also helped start the men’s field team, Six Nations Warriors, as a player/coach. On top of coaching for Edge, he is still coaching the Mohawk Stars Senior B team, as well as serving as the head coach for the Iroquois Bantam team that will be headed to the Canadian Nationals in August of 2007. Cam was first approached by freshman head coach Serge Bianchin, during this past season of Winter Lacrosse. He thought the Edge program was an interesting way to develop lacrosse players, and joined the coaching staff. The way Edge groomed student- athletes through the process of growing the sport was what especially caught his attention. As a goal with working with Edge, Cam hopes to help the young student-athletes with their player development and their overall experience of the academic opportunity offered. He hopes to guide his players through a few championships, and build good, solid young individuals. Pat began his seventh season as head men's lacrosse coach at Salve Regina University in 2009-10. 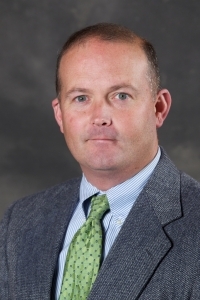 The 2009 The Commonwealth Coast Conference (TCCC) Coach of the Year, Cooney came to Newport with a history of helping young collegiate lacrosse programs build a strong foundation, a trend that has continued at SRU. After winning just 19 games during its first nine years of existence, the Seahawk men's lacrosse program has tallied 35 wins over the last four seasons - including 10 wins in 2009, when the Seahawks advanced to TCCC Semifinals for the third-consecutive season. Since arriving at Salve Regina, Cooney has worked tirelessly to recruit outstanding student-athletes. "These young men have spearheaded the Seahawks success in all areas at the University," said Cooney. "The success of any collegiate team is dependent upon the responsible pursuit of excellence both on and off the field." As a coach, Cooney incorporates an aggressive, up-tempo style of play with the Seahawks. By recruiting student-athletes of superior character, he is able to foster the creativity and growth of each individual through athletics. Coach Cooney has put an emphasis on academic success with the team members earning an average GPA of 2.9. By academically and athletically retaining student-athletes, the team has grown in spirit, experience, and skill. In 2009, goalkeeper Brian Walker (3.64 GPA, accounting) received TCCC Senior Scholar-Athlete of the Year Award. With the continued success of the program, the roster has grown to more than 30 outstanding student-athletes. In addition to playing conference games in TCCC against the likes of nationally-ranked Endicott College and Western New England College, Salve Regina University consistently schedules non-conference games against top programs throughout the region. "Our goal is to win the cup - The Commonwealth Coast Conference championship. We prepare to win by working hard with purpose: competing to win one game at a time, one practice at a time," said Cooney. Cooney gained notice in 1996 when he became the youngest head coach (23 years old) in the country, taking over the program at his alma mater, Roger Williams University. He spent four years as the head coach, building the foundation of a strong program and posting three straight winning seasons from 1997-99. In 2000, he went to Elmira College serving as Assistant Coach and Admissions Counselor. At Elmira, Cooney helped a talented Soaring Eagles ballclub win a share of the Empire 8 Conference title. He then joined the coaching staff at Bryant College from 2001-03, serving as Assistant Coach and Compliance Coordinator for the Bulldogs. Cooney helped both colleges achieve their highest-ever national ranking in their respective divisions. Dennis is a member of the New England Lacrosse Hall of Fame and has served as the head coach at La Salle Academy, Roger Williams university, and Moses Brown. He has recorded more than 250 career victories during his career. Dennis will be the Head Goalie Coach and Defensive Coordinator at Camp.